'Big Six' energy suppliernpower has unveiled a new billing structure designed to make its paper bills easier for customers to understand. UK energy regulator Ofgem brought in new regulations on bills from January 1, and npower unveiled the new format created following customer feedback. Ofgem has told energy suppliers bills must be much easier to understand now and npower's new bill uses far clearer language and also contains information on energy usage, as well as offering tailored advice to the household bill payer on ways they can save energy - in line with Ofgem's new rules. Npower chief executive, Paul Massara, said: "A customer's energy bill is their main, and in some cases only, line of communication with their energy supplier. "We want to make sure that our energy bill helps our customers to take control of their energy usage." As part of the new regulations brought in by Ofgem in January, energy suppliers have also been forced to limit the number of tariffs on offer to four. The reforms by the energy regulator are only part of a major overhaul of the billing system in place by energy suppliers however. 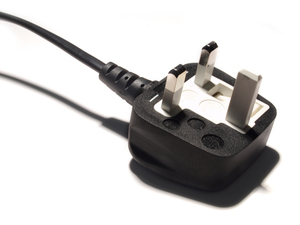 In March 2014, further changes will force the energy suppliers to inform customers of the cheapest available tariffs and what they could save by changing to it as well as a number of other changes to how information is presented to customers.